Disclaimer: I received two boxes of Health Warrior Chia Bars to review as part of being a BibRave Pro. Learn more about becoming a BibRave Pro (ambassador), and check out BibRave.com to review find and write race reviews! I was really excited to try these out. Not only do I love chia seeds so much that I have a 12 pound bag in the pantry, (that is not a joke), but with my recent changes in my diet I was excited to learn that these were 100% vegan. The two flavors I received were Chocolate Peanut Butter and Vanilla Almond. When they arrived I was surprised by how small the bars were. The chocolate peanut butter flavor was 100 calories per bar and the vanilla almond was 110. They arrived right as I was walking out the door for Urban Bourbon Half Marathon! The timing couldn't have been better! Health Warrior also has a running coloring book. It's actually really cute with A-Z pages all related back to marathon training. I did an inital taste test of both options. My opinion: I definitely liked the vanilla almond flavor better than the chocolate peanut butter. But I'd also like to note here that I'm not usually a big fan of any bars flavored chocolate peanut butter. Usually I'd just pick other flavors first. Both flavors tasted very good though. The chia seeds were small and could sometimes get stuck in your teeth. Make sure you have some sort of drink with these if you're taking them on the go! These little bars were my breakfast before Urban Bourbon, one of each flavor plus a banana. I also would eat a bar for breakast occasionally with some soy yogurt. Usually I found myself grabbing these in the morning on my way to work. Typically I'll blend up a smoothie and pour it into a to-go container. 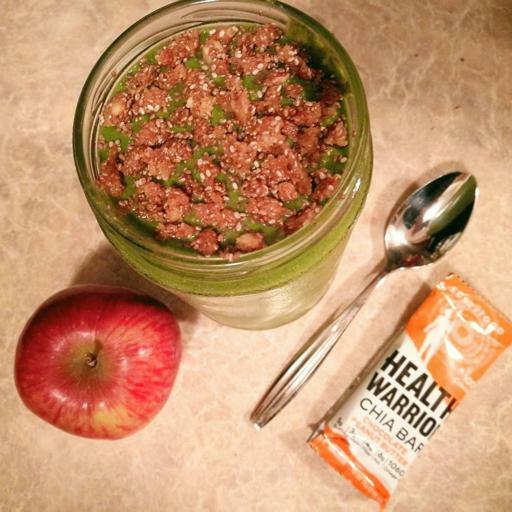 Bringing Health Warrior bars along were a great textured addition to my smoothie only breakfasts. 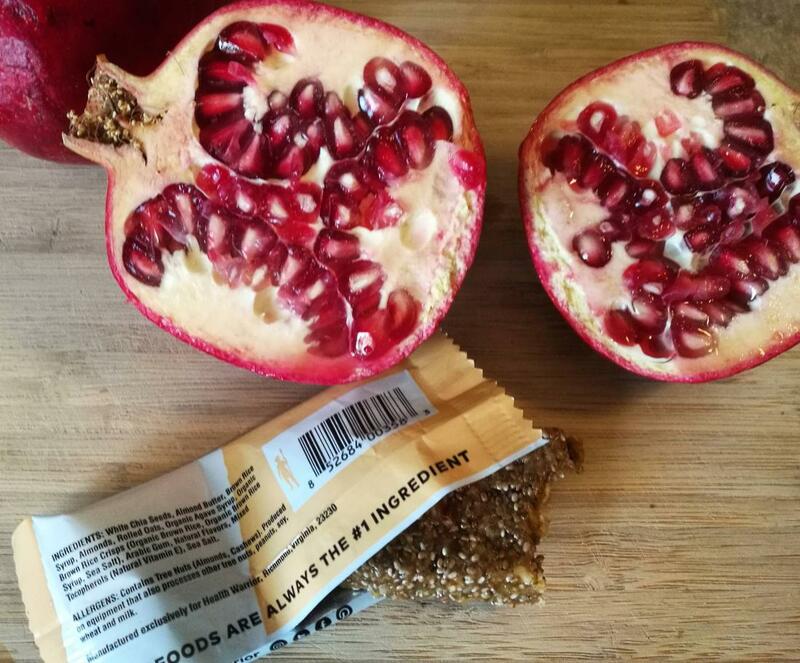 I soon thought of breaking these bars into pieces and putting them in the smoothie, similar to granola. 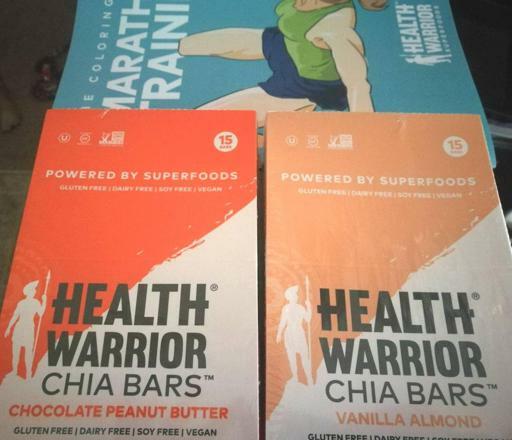 And finally, the ultimate test for these bars was eating them during an ultramarathon. After you've ran a couple dozen miles it can be difficult for food to sit in your stomach. I probably had 6 or 7 of these bars during a 7.5 hour 50k and my stomach did great! The small size is perfect for ultras as it spreads out calorie intake and prevents large meal gut-bombs. I obviously ate other things too such as dried fruit, chips, pretzels, Swedish Fish, and potatoes. 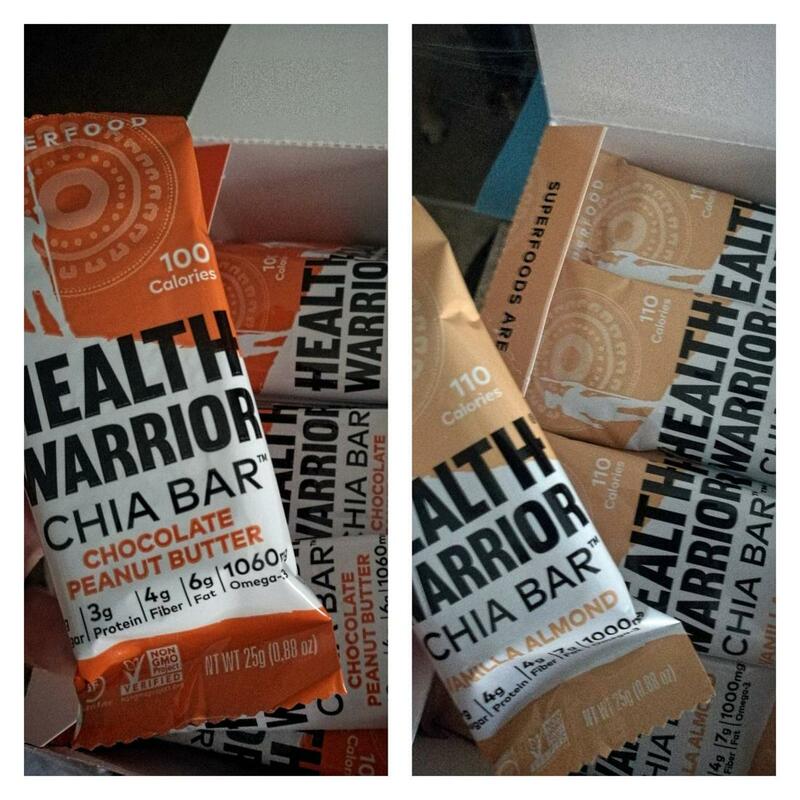 With their wrapper these bars were more portable than naked food, you could stuff some in your pocket and keep going. I will be buying these again! I plan to primarily use them for ultras but may grab the occasional snack too if I'm in a hurry.